Novita is a popular brand of Korean bidets that has been acquired by Kohler in recent years. While they’ve been making bidets since the 1990s, they’re not well-known outside of Asia. But since the brand has been acquired by Kohler, it wouldn’t be surprising to see more of their bidets available in North America. Their Novita BG90/93 “Platinum Bidet” is an excellent purchase for those who want a mid-level bidet seat comparable to the Toto Washlet C100. In this review, we’re going to take a deeper look at the Novita BG90/93 and tell you what we think about it. First we’re going to take a look at the design in terms of its appearance and built. The Novita Platinum Bidet features an attached control panel that would be on your right side when seated on the toilet. On the panel, there are buttons to operate the rear spray, front spray, stop/massage, air dryer, child cleansing function, wand position, water pressure, water temperature, air dryer temperature, seat temperature, energy saver, and wand cleansing. The one button that we see on this Novita bidet that is unique is the one that activates the child cleansing function. This Novita bidet seat is designed to be used by people of all ages, which is why they included this function. It basically provides a full cleansing and drying cycle at the touch of a button, so even a child can use the bidet easily. And when the child function is activated, the nozzle is positioned at the optimal spot for a child which is different than the position for an adult user. The North American version has a control panel with English labels. The BG90 is the elongated version, while the BG93 is the round version. So check to see whether your toilet is an elongated toilet or a round toilet, and make sure you get the version that’s right for you. If you have an elongated toilet it would have an oval shape, like an egg. And if you have a round toilet it would look more like a circle. Elongated toilets are about 18.5 inches long from the mounting bolts at the back to the front, and round toilets are about 16.5 inches. The one thing we noticed about the wand is that it’s made out of stainless steel. Usually, bidet seat wands are made out of plastic and/or metal plating which tends to be a breeding ground for corrosion and contamination if not kept cleaned regularly. So the stainless steel wand, made with silver nano materials for sanitation and durability, is a nice touch by Novita. Overall this Novita bidet is sturdily built. And as a “Platinum Bidet” it has some decorative detail on the seat that lends to the elegant design. This Novita bidet seat has a rear and front spray. The rear spray cleans your rear, and the front spray is for women. 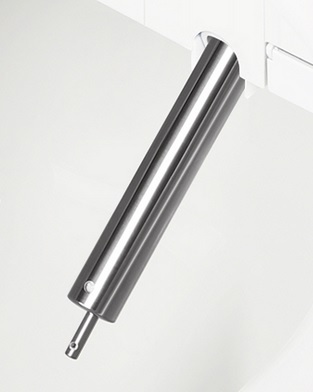 The front spray retracts when not in use to prevent cross-contamination. These sprays have an oscillating feature which will move the wand so that you can wash more thoroughly. And you can turn on the massage feature for the spray. The spray itself is a mixture of water and air bubbles, which provides a soft and gentle feel. The cleansing functions of the Novita bidet are highly customizable. You can adjust the water pressure and washing position with the buttons located on the control panel. They can be adjusted to four different water pressures and four different positions. For comparison purposes, the Toto C100 can be adjusted to five different pressures and positions. You can also adjust the water temperature for the spray to three different levels. The water temperature stays consistent with this bidet, which is nice. There is also a warm air dryer and a heated seat with this bidet that can be adjusted to three different temperatures. And there is an energy saving mode that stops the warm water and seat heating functions when the toilet is not in use to save energy. In terms of features that keep the bidet seat clean, there is an automatic nozzle cleaning that cleans the wand before and after each use. And there is a carbon deodorizer as well to keep the toilet smelling fresh. One final feature we want to mention with this bidet seat is that it has a seat cover that opens and closes slowly by a simple touch. We like that the seat cover closes gently and without noise. Why the Novita Platinum Bidet? Buying a bidet toilet seat is a huge decision. After all, you’re going to be using it multiple times a day for many, many years. You have to make sure that you get one that suits your needs. To help with your decision, we put together some reasons why the Novita Platinum Bidet might be the one you’re looking for. We’re not a huge fan of the layout of the control panel because it can be a little confusing to operate. And the control panel itself is a bit clunky for our liking. Overall, the Novita Platinum Bidet has many great features going for it: the stainless steel wand, the child-friendly design, the sturdy and elegant design, and the gentle and comfortable spray. In these respects, it takes a run at Toto for its money. 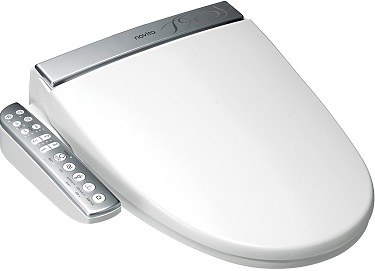 Although the Toto C100 has features like the pre-mist spray and we like their attention to detail, design and control panel more, the Novita bidet has many of the same features as the Toto C100 and more. Currently, Novita bidet seats don’t seem to be available for sale at most hardware stores, so it might be difficult for you to find one. 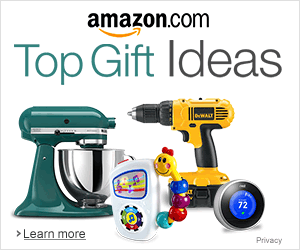 But you should be able to purchase them through stores specializing in bathroom products or online. The Novita Platinum Bidet is made in South Korea and comes with a three-year limited warranty.